Aligning yourself with this obviously pseudoscience topic does not help your case. and the scientific truth is brazenly blocked. So you think that the scientific truth is that the tides are not caused by the moon and sun? Really? Such an excellent topic has been described as pseudoscience, and the scientific truth is brazenly blocked. "Scientific truth" is that gravitational forces (primarily from the sun and moon) cause tides on Earth. The idea that there are 'whirlpools' independent of gravitational forces that cause tides is pseudoscience. Nothing happened to the bay on that one day. Tides vary due to the angle between the Sun and the Moon, the location of the shoreline with respect to the tidal bulge and the distance from Earth to Sun to Moon. As a result, some places have one weak tide and one strong tide a day. Occasionally, a location will have only one high tide a day. On a day when everything lines up perfectly (a spring tide, location close to the tidal bulge, perigee and perihelion) you will see the highest possible tide. When all those factors don't line up you will see a smaller one. Actually, there was a hurricane in the bay of Fundy that day. Not surprisingly there was also a storm surge. The Great Lakes - five of the largest inland bodies in world - have tides. Yet they have no particular spin. Fermer05, how do you explain tides in bodies that have no net direction of rotation? Побережье полуострова Новая Шотландия (Канада), с востока оно омывается водами Атлантического океана, на западе - водами залива Фанди. Приливная волна на полуострове движется с востока на запад. (со скоростью 1650 км в час). Максимальная высота приливов на востоке полуострова составляет 1 метр, на западе полуострова - 20 метров (залив Фанди). Почему высота приливов на западе полуострова в 20 раз больше, чем на востоке, но все должно быть наоборот (где логика). 2. 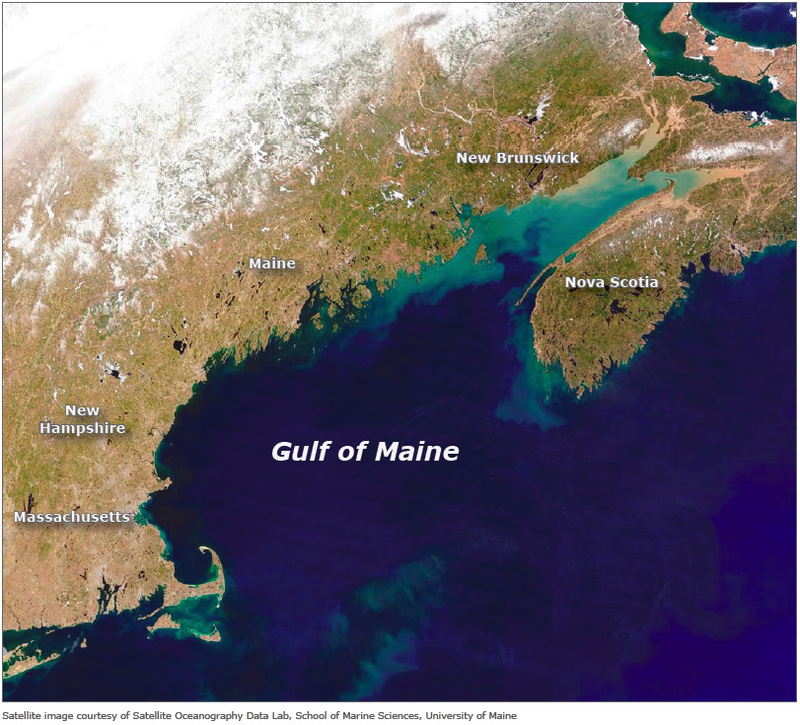 The tidal current moves to the White Sea from the Atlantic Ocean. How. (trajectory, distance, travel time). a). As the flow moves, pulsates every 12 hours, or flows a continuous stream (eternal tide). b). As there is an ebb in the river Severnaya Dvina, if in the Northern Dvina, the eternal tidal current moves. at). What is the mechanism of transformation of the tidal current into a tidal wave. g). How much water to move in the tidal current. e). At what speed does the tidal current (km / h) move. (The distance to the throat of the Baltic Sea is 10 km, to the throat of the White Sea is 3000 km. 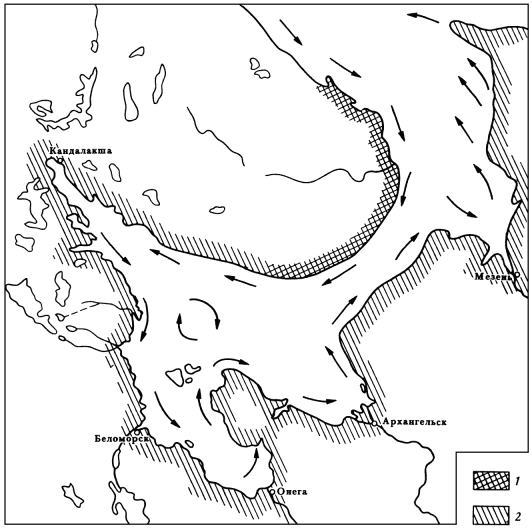 The flow from the throat of the White Sea moves from south to north, at a speed of 1 km an hour). Why the height of the tides in the White Sea is 100 times greater than in the Baltic Sea. Type into Google "Baltic Sea tides" and read the first paragraph on the page for your answer. If you have any other questions please feel free to post them. These questions are exceedingly easy to answer! Not sure what that is supposed to be about? The answer to your question can still be found in post #209. Good luck on your quest. Tidal waves are synchronized with the daily rotation of the Earth and a daily delay of 50 minutes. The synchronous connection between the moon and the hump is the same as between the hump and the lamp post (next to your house). The "daily delay of 50 minutes" is the moon moving in its orbit. Correct. It takes some time for the "lunar hump" (tide) to make its way into some places. In tight, obstructed areas like New York Harbor it can be as long as 8 hours. Fermer05 is a rock. He is impervious to any amount of logic or factual information. The height of the tide depends on the shape of the gulf. (And the speed of the tidal wave is ridiculously small, and the filling time of the bay is too great). Correct. The shape of the gulf can focus the tidal bore and amplify it. Incorrect. The speed of the wave doesn't matter one bit. What matters is the flow in gallons per second. You could fill the bay with no perceptible tidal wave. Different shapes along the coast, as you mention above. I'd say you're wasting your time. This is a write-only blog for Fermer. I doubt he even reads the thread. I, for one, have learned a thing or two about tides from this thread. On the Internet, you tend to need somebody to be wrong so somebody else can be right. Tides are the result of the rotation of the earth and the whirlpools. There is a strict regularity, tides and ebbs are formed not along the entire coast of the seas and oceans but only on those coasts where the high angular velocity of the currents. And the higher the velocity of currents, the higher the amplitude of the tidal wave. On the rectilinear coasts where the currents do not have an angular velocity the tide is not formed. As is known, everything that rotates, including whirlpools, possess the property of a gyroscope (yule) to maintain the vertical position of the axis in space, regardless of the rotation of the Earth. Continuation. Forum. National Research Nuclear University of Russia. You are apparently immune to reality. Ah well. Add another to the list.